Long Life, Good Health and Double Happiness! With this blog hop there were so many choices from the Stencil Girl Website, I had a tough time selecting my project idea. from the Gwen Lafleur Collection. I squeezed in a stamp from Seth's Paper Artsy line and of course I went straight for the EP and used Chinese New Year for the Background over the Super Stock from Creative Scrapbooker. I grabbed the ATC Mixup #2 Mary Beth Shaw's Collection. I had an idea to use the humming bird. I tried pasting the Humming Bird outline but chose to cut it out and make a silhouette on the gold cardstock and emboss it in the Onyx Frost EP. I embossed the Blossoms on the Red background with Seth's Baked Texture - Patina Oxide. then I pasted them on the acetate, by blending the Tangerine and Prawn paints into the paste, and using my palette knife blended them into the stencil. I used the Filigree Flourish from Eclectica #6 and inked the stamp with the ranger Emboss it Dabber and then embossed the Ancient amber over the red. to emphasise the image I stamped over it with StazOn. then layered up with Tim Holtz Gold Metallic Cardstock and a piece of generic black cardstock. The last thing was to make the resin flower using the Vanilla Aroma EP. I used my favourite Prima Silicone mold, and heated up the powder in a metal measuring cup and poured it into the mold. In less then 5 minutes it was cool and ready to embellish. I ended up painting it to highlight the details for the photo but it looked awesome translucent too. Fun Pic. I was camping and pulled up an app to get my thoughts organised. This quick finger sketch on my phone was how I organised my project. Beautiful creation Kim. I love the red background and this flowerstencil. Kim, I love the intricacy and layers in this beautiful artwork! Wow! Such a thrill to be hopping with you again! Thank you Mary! This is clearly a tradition we need to keep. I love the unique projects again. Beautiful colors and textures! Your step by step description is excellent too. Thank you! I hope you enjoy the rest of the hop! Creating the molded flower with embossing powder is new to me - great idea! And I love your final result - very beautiful with the colors and design. Thank you Terry and good luck! Beautiful That flower is stunning. Your work is amazing and the flower stencil is beautiful. Thank you so much Ingrid. Thank you Anne. I was so excited to do the red background that getting the project to balance created a challenge. I’m glad you liked it! Stunning creation, love the colours! I didn’t know you could mold it like that! Wow, thanks. You can do this with any embossing powder too. Not just the chunky ones. I do. I’m curious to see how long it lasts. ;) a week and we are still good. Thank you! Never thought to use the embossing powder in a mold. Thanks for sharing this technique and your lovely piece. No problem. We do love sharing old tricks with new twists. Thank you for coming to check it out. Thank you. It does. It’s been a week and still the same. Check out our other aromas too. Great project. 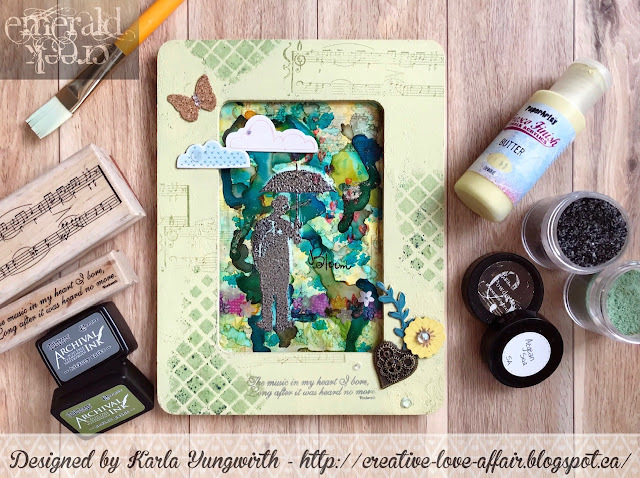 Love watching SG stencils and EC powders create beautiful art. Thanks Suzie. I love this match up for sure! Thanks Wanda. Good luck in the challenge! Wow! So many new ways to use the powders and stencils! Yay! I’m glad we could inspire some new ideas for your products! Happy Crafting! Ann you always make me smile. Thank you for being an EC fan and creating amazing projects yourself. Thank you and yes Gwen’s stencils was amazing. This is so pretty. I would never have thought of using EP in a mold. Such cool inspiration! Thank you Wendy, I find making a bunch of Molded pieces the most fun. Good luck! Love stencils! Love embossing! Thank you for great ideas. Thank you for stopping by to check us out! Join in our monthly challenges for more chances to win. I've never considered using embossing powder in a mold, but what a fantastic idea! Thank you for sharing that with us! Brilliant! I never thought to use the EP for making shapes with a mold. Going to try that right away! Yay! I love being able to inspire. Thank you for stopping by and have fun filling molds. You have such beautiful texture and dimension in your pretty project! This looks amazing! Wonderful project with a lovely oriental feel. Great showcasing of your EP's . Lovely texture, and thanks for showing us the steps! Thanks so much for sharing! and the phone tip at the end ... why don't I ever think of that? lol. I am having problems leaving a comment on Debi Adam's post on day 3. It is not showing up at all! Help! Love the idea of heating up the powder in a mold! Thanks Kim, you have some great uses of products that I have never thought of and I really like that stamp you used. Amazed by the new technique and can’t wait for the video you mentioned in one of the comments. I will definitely be watching this. Lovely art. This is fabulous! I love how the resin flower matches the Gwen Lafleur flower and with that the hummingbird with a gold halo... it's all gorgeous!! Wow the red and gold are amazing I love your powders and stencils give another whole avenue to explore. Love the shiny red layer! EP in a mold!!? I can't wait to try it! The texture with the red on gold turned out awesome! Ooooh, I have to try to make an embellishment with embossing powder. Your project is gorgeous! I really love how this came out...and it was cool to see all the different techniques you used a long the way.